Hoover says the birds were packed into the same type of mozzarella cheese boxes as the group of pigeons found in December. 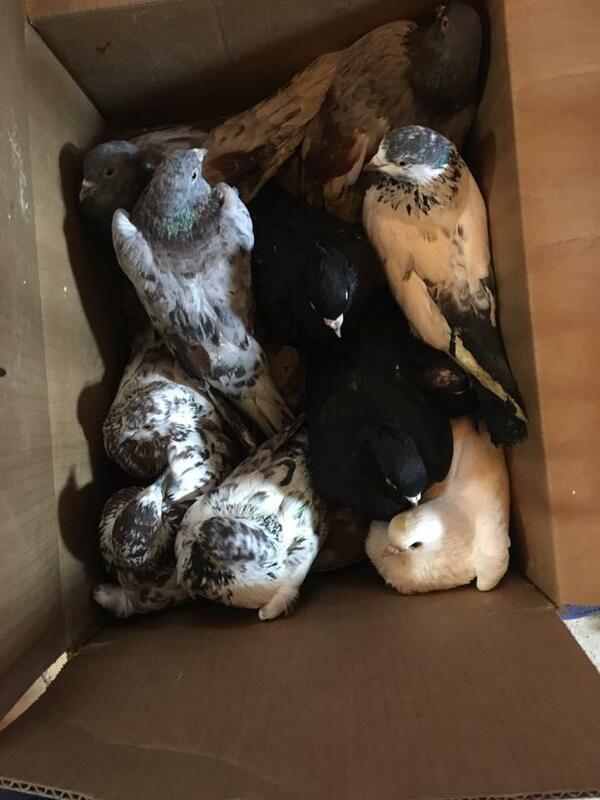 After the same rest area attendant found the boxed up birds and called Hoover in the early hours of February 28th, she went to pick up the additional pigeons—then put out another call for help. Hoover was able to place the majority of the pigeons at rehab centers in Illinois and Indiana. She says after sharing a Facebook post about the plight of the new group, pigeon enthusiasts from across the country contacted her to express their belief this is not indicative of how the birds are typically treated by their owners. Hoover also says both flocks wore the same leg bands bearing the name and contact information of an Ohio man. Attempts to reach him were unsuccessful.